I don't often write about a specific run, but every once in a while I feel the need to document a memorable one. 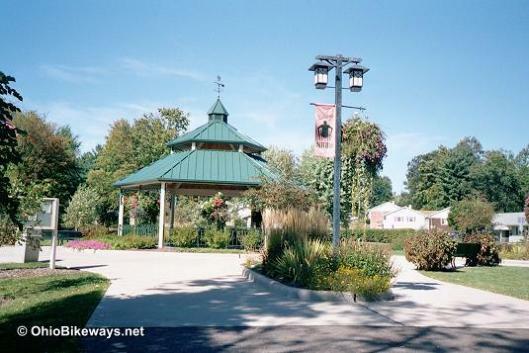 Today, I went for a run in my hometown of St. Clairsville, Ohio, and found myself smiling as I ran along the pathway. The best part - it's December 22, but somehow the weather was 49 degrees and perfect for running. The last time I ran this trail at Christmas time, I was dealing with sub-20 degree temps and ice! Because the weather was nice, there were lots of people out and about walking, running, rollerblading, biking, and taking dogs out for walks. The next best part - every person I ran by said hello, how are you, Merry Christmas, etc. I sometimes forget how friendly people are here and as someone who will talk to anyone, I love it. I also ran without my Garmin, so no stressing over pace or distance today. I've been doing this more often lately, and I have to say being free of stats every so often lets me enjoy running for running. I felt so free. Last, the scenery on the pathway is fantastic and the quiet makes for a peaceful run. The path is technically a bike trail (the National Road Bikeway) but is used much more often on foot than on bike. 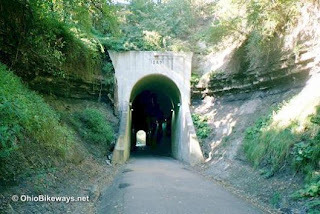 The path follows what used to be train tracks, and it goes over a re-done railroad tressel and through a really cool tunnel. Halfway from one end to the other is a pretty gazebo and sitting area. I ran the entire trail out and back for a total of 5 miles. Photos of the Gazebo and Tunnel from the National Road Bikeway website. On the way back it started to rain - I was so happy not to be freezing that the rain didn't phase me. In fact, living in California and not having seen much rain lately made it that much more refreshing. If the weather stays warm like today, I'll have to make it out a couple more times before my return to San Jose. For part of the Home for the Holidays Virtual 10K perhaps. I'm planning to do that virtual race as well. Sounds like you have some beautiful scenery to enjoy!